Input text: Three cameras are behind the snail. They are facing the snail. 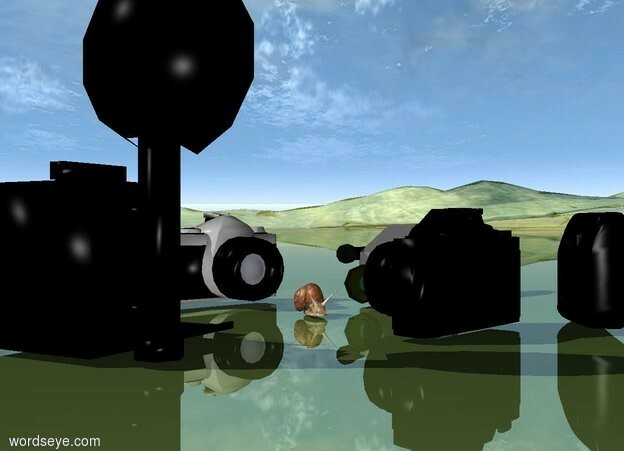 Three black cameras are in front of the snail. They are facing the snail. The ground is shiny grass.